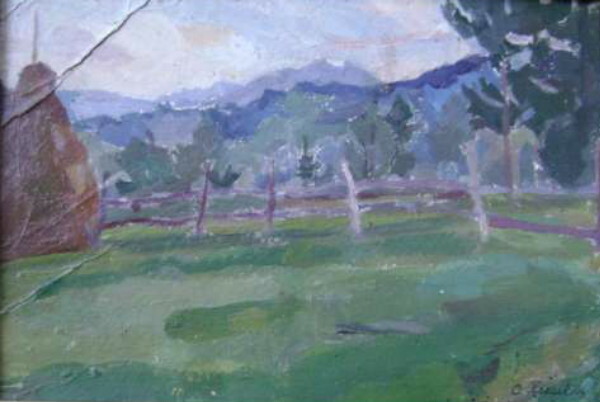 Pleshkan, Olha [Плешкан, Ольга; Pleškan, Ol’ha], b 15 June 1898 in Chortovets, Horodenka county, Galicia, d 25 December 1985 in Sniatyn, Ivano-Frankivsk oblast. Painter. 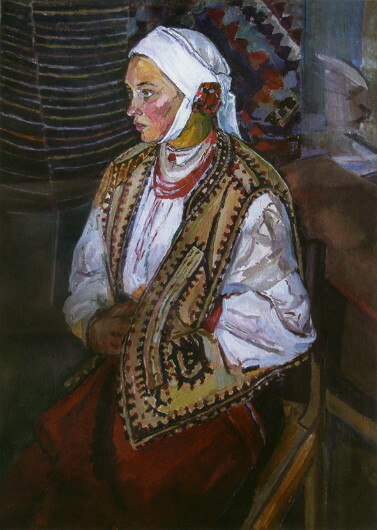 She studied at Lviv (Underground) Ukrainian University (1921–5) and at the Novakivsky Art School in Lviv (1925–32). 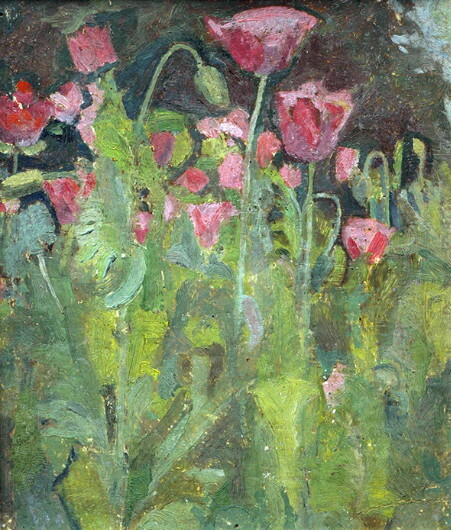 She was a member of the RUB artists’ group and exhibited her works at shows organized by the Labor Association of Ukrainian Pictorial Artists. 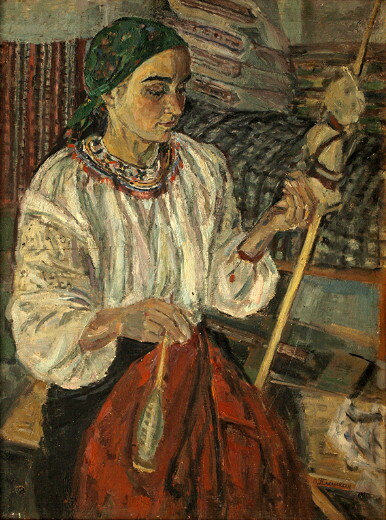 From 1939 to 1957 she worked in Rusiv at the Vasyl Stefanyk Memorial Museum. 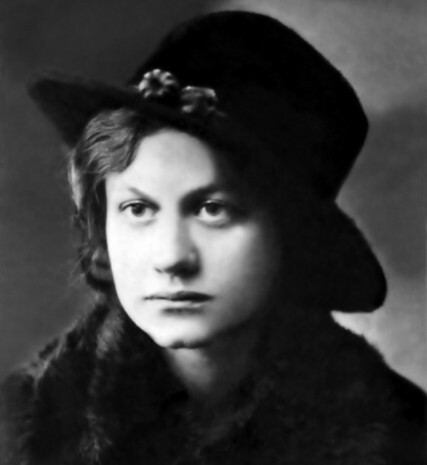 After 1957 she worked at the Marko Cheremshyna Literary Memorial Museum in Sniatyn. 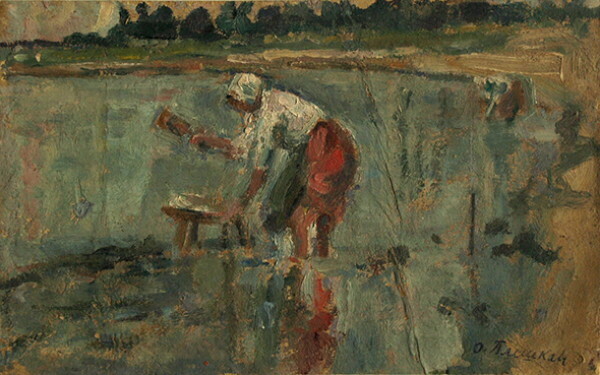 She painted landscapes, portraits, and genre paintings, such as Self-Portrait (1928), Apple Tree in V. Stefanyk's Orchard (1927), Washerwoman (1932), Corn Cleaning (1961), and View of Tulova (1963).